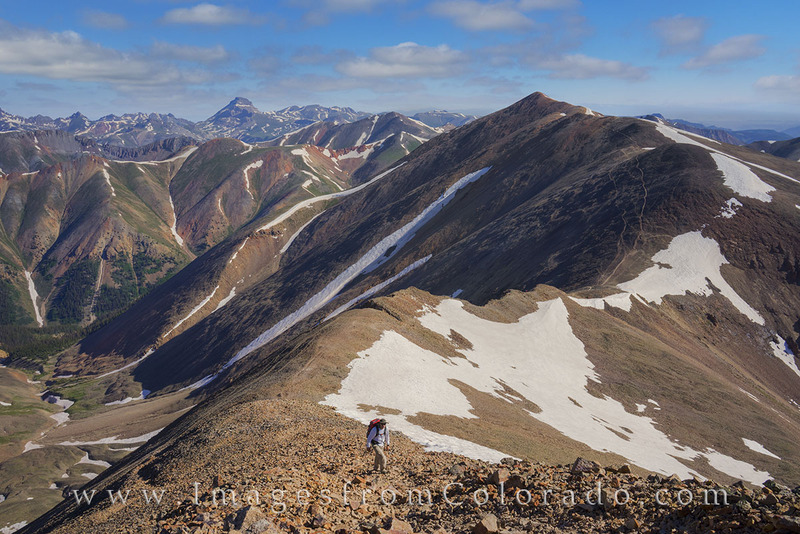 A hiker slogs up the slopes of Sunshine Peak after making the traverse from Redcloud Peak. These two beautiful 14ers are located near Lake City, Colorado, and make for a great way to spend the morning. Photo © copyright by Rob Greebon.